Health products for diseases of the kidneys and urinary tract in online healrh store "Zdravnitza". Healthy products for kidney problems in online health store "ZDRAVNITZA". Healthy products for prostate problems in online health store "Zdravnitza". Healthy products for hemoroids in online health store "Zdravnitza". Healthy products for cystitis in online health store "Zdravnitza". Healthy products for gout in online health store "Zdravnitza". 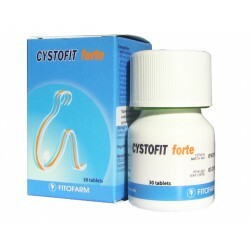 Cystofit Forte is a natural product that helps with inflammation of the urinary tract, especially cystitis and prostatitis, displays toxins from the body. Cystoprotect is a dietary supplement that helps to normalize the function of the urinary tract and the urinary tract. Renal Activ is a dietary supplement that helps to normalize the function of the kidneys and urinary system. Artichoke has a favorable effect on hepatitis, atherosclerosis, in liver and biliary diseases, sometimes with allergies and eczema. 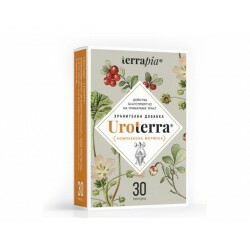 Uroterra- Complex bioactive formula that helps to overcome infections and discomfort in the urinary tract.